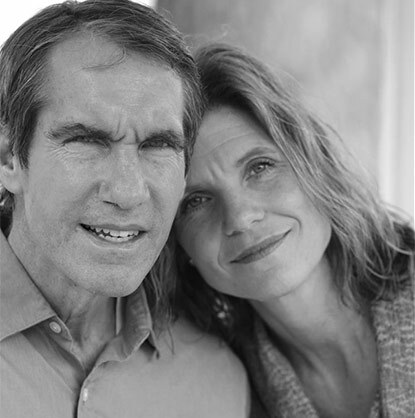 Prior to Jim being diagnosed, we went through several years of turmoil in our marriage. Not really because either of us was being a bad spouse, but because our relationship was changing and neither of us could put a finger on what was happening, counseling wasn’t helping, and we were both frustrated. Ok. I was frustrated. Probably Jim was at times, but overall I can honestly say I was the one who broached the subject of something not being quite right with Jim. Things he would say. Things he would do. And then I would feel like a nagging wife because it seemed I was getting on him more and more. I was feeling disconnected and wondering what was happening to our relationship, our communication, our intimacy. All of it seemed to be slipping away and yet we were both working on the marriage, trying to make the other happy, and somehow nothing was getting better. Nothing was putting us back on track. Jim’s memory was fine, but his cognitive ability to do things was declining. His ability to multi-task seemed to disappear without us recognizing what was wrong. It was more of he would lose his thought process while in the middle of something, especially if I tried to talk to him or ask him to do another task. His answers to questions were sometimes bizarre and at other times something so foreign to his natural demeanor. This went on for over two years. Two years of wondering if our marriage would be able to survive whatever upheaval was taking place. But ultimately Jim wouldn’t survive, and in turn, our marriage died too. So I am left to contemplate and play over and over what I could have, should have and would have done differently. I am my own worst critic. It keeps me up at night. It brings tension and stress to my body on a daily basis. Still. Even after all of this time, I linger on times I should have been more patient. Times I should have seen what was coming just around the corner. Times I should have just sat quietly and taken in the moment. A counselor once told me I had to stop saying “I should” all the time. Obviously I haven’t mastered that advice yet. But we are all human, myself included, and it is impossible to always do the right things or say the right things or control our emotions at all times. I regret much but I am proud of just as much. Life comes at us fast. Pulling us in different directions and making us make decisions in split seconds. There are moments that will define us and we don’t always get do-overs. No matter how much we want to. No matter how much we struggle to do better, sometimes we feel as if we are doing worse. Being a caregiver causes people who are not trained to provide care, to do just that. Think about how something that takes up so much energy, time, finances and commitment is usually a job we have chosen or have gone to school for. Maybe we got on-the-job training, but we were somehow educated enough to be able to do this thing well. For a lucky group, they chose that career path because it was exciting, or interesting or maybe they were just really good at it. I became a caregiver to my husband with no training other than having two kids under the age of 10 and with very little guidance, support, or idea on what in the world was happening, let alone what was coming. I ended up having to quit my actual job to stay home with him. Again, very difficult emotionally to be taken out of the world I was trained to be in and suddenly I have little structure, no idea what I am doing or supposed to be doing, and definitely no time table. And the pay is nonexistent other than the gratification I was the one who was taking care of the man I love. It is no wonder that caregivers end up having just as many health complications as those they are taking care of. Which is why it is so very important to seek help, join support groups, reach out to churches who offer respite or can help with tasks around the house. Reach out to the Alzheimer’s Association. Talk to friends and neighbors and let them know you need help. They care but they don’t know what to do to help. Tell them. They won’t mind. Wouldn’t you want someone you care about to let you comfort and support them in whatever capacity they needed? Taking that first step is difficult, but ultimately it will become easier and will save you some stress and probably health problems. It is so easy for me to look back now and be critical of myself. But sharing my lessons learned the hard way can somehow ease the pain I feel of not being a better spouse or caregiver to Jim. We all can learn from our lives, it is what we do with that knowledge that defines our character. I am on my own path of redemption and self discovery. Loss is hard. Surviving is excruciating. Let’s all keep in mind we can only do the best we can on any given day. And then reach out to others and move on. I am glad you had family, friends and neighbors to call on. I know just as many who are alone just like me. We have no funds for help. We have only me, myself and I to depend on until Medicaid approves placement. My husband goes to 1/2 day day care 3 times a week which is good but that leaves the rest of the time with just me. I can relate so much. My husband, James, was diagnosed with Young-onset Alzheimer’s in April 2011 at age 58. I began noticing changes in the summer of 2008. Alzheimer’s was the last thing on my mind. I try to take life one day at a time, but I feel like I’m on a rollercoasster ride and I can’t get off. I know where you are coming from. No one knows unless they have been there. As the disease progresses the care taking becomes more challenging (physically and emotionally) and time consuming. I am a full time caregiver to my mother for four years now. I am mentally exhausted and drained. Her doctor put my mom on hospice due to recurrent UTI’s and pneumonia. This is a sad day for me. I understand what you are saying about wondering if you did all you could. I was a care giver and I wonder the same. I feel I could have said things differently. I saw my husband was changing but it was hard to except. He also had cancer. That is what he died of this past June. And we wonder was that better than going on with alhzlmers. The sad thing is he did not understand what was wrong with him. And didn’t remember when I told him. Alhzlmers is a terrible thing to have. Thank you for your comments and being brave enough to speak them. I too went through this. Now my husband is st the point he very rarely speaks. No one realizes what we have gone through. My husband passed away last month of Early Onset Alz. I’m not questioning the paths I took as caregiver, but I certainly understand the “I should have ……” thoughts. Wow!! How much a relate to so much of what you have said. My situation wasn’t with a spouse as you had but nevertheless your narrative strikes a chord in so many ways. I’m glad I’m not the only one who still battles the could of should of’s…………. I feel like you, did I do the right thing by enrolling him in the v.a. nursing home, after caring for my husband at home for over 8 yrs. He was a Diabetic, along with heart problems & unable to walk. I have a lot of guilt for putting him in the Home, as he only lasted 9 weeks. He had bed sores & a blister on his hand, that no one could tell me what happened..I found out that his hand was caught in the Hoyer Lift….terrible care there, I with the Granny Nannies at home took better care of him…he was not showered on a regular basis or even received his meals on time…this so called VA home is in Daytona Beach Fl…so BAD!!! Guilt is NOT an option. All we do FOR our loved ones far outweighs those woulda, coulda, shoula moments … They are just moments in the long-term process we go through. God bless the caregivers who care enough to give. Prayers for all. Thank you. and yes. most of us spouses are just thrown into this. We LOVE them with ALL we have. To tell your husband, YOU MAY NOT DRIVE anymore. WOW. we TRY to do our VERY BEST. and we ALL FAIL at moments. Those that look me in the eye and say “I NEVER yell, get angry, etc at my husband”. well. LIAR LIAR pants on FIRE. we ALL do. WE ALL wonder. “if only”?? “should I have, should I have not?” etc. I beat myself up a LOT. we all do if we truly care. IT’S OK. We are doing something TOTALLY AMAZING. the BIGGEEST GIFT OF LOVE we can give. and THEY KNOW IT. that’s all that matters. that THEY KNOW we LOVE them. Oh, my! This is my story. After three strokes my husband changed. There were so many maddeningly subtle things happening that we were constantly at each others’ throats. Twenty years in I began to see things worsening. For example, he put boxes of tissues away in the oven and began hoarding used paper towels. His primary care physician was useless – said I was “tattling” on him. I finally found a facility that has given him the proper diagnosis of dementia and which provides all-inclusive care for him) and takes him to their facility twice a week so I have some respite. (It also had his driver’s license revoked.) the relief I felt after the diagnosis was immense. And I finally understood that he couldn’t help what he was doing. This helps me deal with him more effectively now. We had been to so many doctors, even neurologists, over the years as he has other health problems as well. NO ONE ever evaluated him for dementia, which is common post-stroke. I am so angry with those doctors. I was put through the ringer. Now I only wait for further decline. I am at the start of this journey. I am heart broken for a life we planned and won’t have and for my 4 year old and 8 year old who are loosing their father in front of them. Everything you described is what he is experiencing and we have gone through. The diagnosis was bitter sweet as we had answers but not what we would have ever imagined.